The only reason I will wake up early during winter break is to watch BTS, and that’s just what Run BTS! had me doing today. Even half asleep, it took no time at all for the boys to have me cracking up at their chaotic antics. For the first episode of Run BTS! 2019, BTS is doing another cooking competition — this time Italian style. 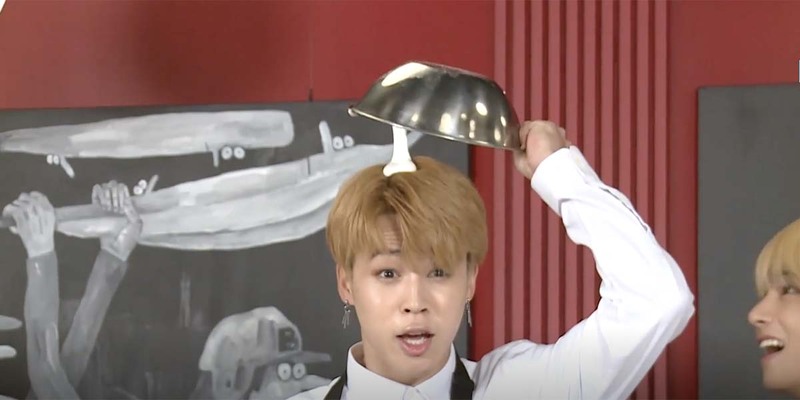 As many know, BTS has lots of talents but cooking is something that many of the members struggle with. It basically comes down to who has Jin and Suga on their teams. 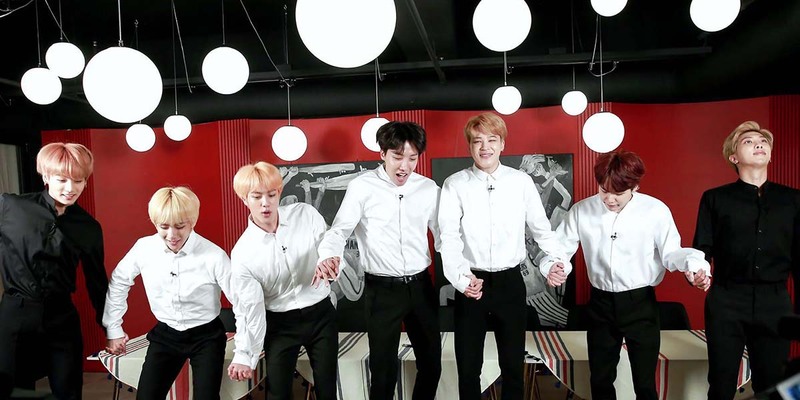 A few minutes of Run BTS! episode 57 starts off with the guys excitedly introducing the new season, which went on hiatus for a while. They debate over whether they should come up with a new opening first, but then just stick to their original one. When the concept of the first episode is announced, V is excited to learn that it’s the one he wanted to do. Even though, let’s face it, V is usually the one that prefers to step back while the others do the cooking and he focuses on decorating at the end. Meanwhile, RM is more realistic about his abilities and isn’t looking forward to the cooking. He openly admits to being a little scared. The time comes for picking teams and everyone is super nervous, they’re going to split up into three teams, which means everyone is anxious to see who will get paired up with the good cooks. I’m already laughing at the fact that J-Hope says he wants to be with Suga before anyone knows the outcome of the teams. One at a time they show their teams, which are determined by what card they picked up. Poor Suga is already super nervous when it’s quickly revealed that he’s been teamed up with RM and J-Hope, though the others are joyous that all the rappers got grouped together. Jimin doesn’t have as much luck, and is the one that gets paired up with V. Best friends they might be, but that doesn’t stop Jimin from worrying about the outcome of their dish. Jin is extremely excited that he got lucky and ended up with Jungkook instead of the other young ones. Suga says he’s interested to see how Jimin and V will do and I couldn’t agree more. They’re definitely going to end up being one of the crazier teams to watch. Somehow the rappers get talked into naming their team “Ref,” as in Chef+Rappers=Ref? Suga’s reaction to this name is all of us, he can’t believe what he’s hearing. 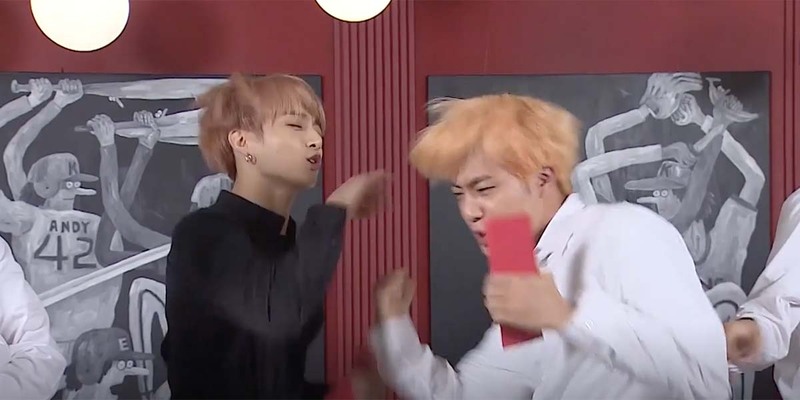 Jin declared their team name will be “Boxing” because Jungkook is into it, but basically I think they just want to mess around all day and pretend to box. The 95 line sticks with their usual name. Luckily for the boys, they don’t have to go in blind as an actual chef is brought in to help them. But before they can start cooking, they’re going to play some games to pick the ingredients out! They’ll be able to pick their meats, sauce, and pasta according to who wins the games. Their first game is to see who can make Meringue correctly the fastest. It’s a type of baking cream made of eggs and sugar, so they have to whip it up quickly. The twist is, they have to tip the bowls over their head to check that it’s thick enough. Right off the bat, Jin and Suga’s teams seem confident while Jimin and V are already fighting over who will have to have the bowl tipped over their heads. The teams get started on their mixing, and the room is filled with their loud yelling as they race to mix. The different members take turn mixing, which gives the rappers a bit of an advantage with the three of them. Sure enough, Suga, J-Hope, and RM are the first to finish. Jungkook and Jin aren’t far behind them, which gives Jimin a false sense of confidence and he tips his bowl over only for it to fall all over his pretty hair. Everyone’s cracking up at this point, asking why Jimin did it too early. I’m cracking up at the chaos that ensues everywhere these guys go. And now Jimin has to go get washed up before they can continue. 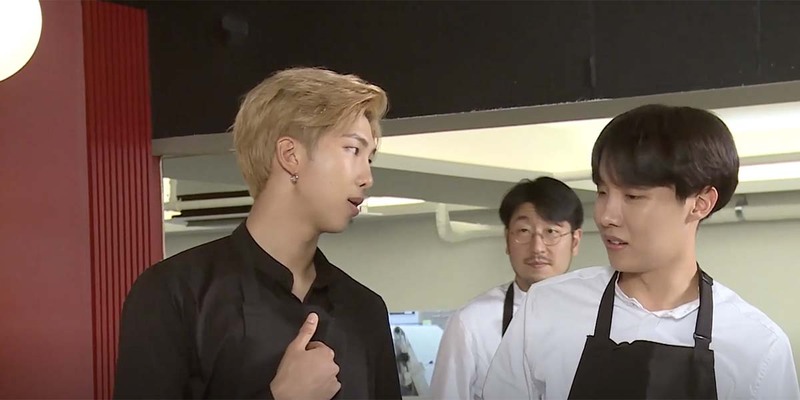 J-Hope is sure that this episode will be a hit thanks to that moment and he’s probably right. The rappers get to pick their meat first since they won, and Suga decides they’ll go with sirloin. Next, Jin gives a talk about chicken breasts being used in lots of dishes only to say that they’ll go with the tenderloin. Less confidently, V and Jimin pick the pork neck. Their next game is to guess the gram of butter. Each member has to cut part of their butter stick to get to a certain amount, 200g for the teams with two members and 300g for the team of three rappers. The chef shows them how it’s done first, which amazes the members at how close he gets. Jimin and V are the ones to try the game first and seem to think they have a better shot at this one. At 224g they actually don’t do that badly! Jin and Jungkook go next and try to get as close to 200g as possible on the first cut. Then they only have to cut a little piece on their second try. It works out pretty well for them and they end up at 208g. Finally the rappers go next, and J-Hope sits back as RM and Suga debate over what the best method might be. He clearly has full confidence in them and calls them Einstein. ARMYs are always amazed by the rappers abilities, so I’m with J-Hope on this one. At 294g the rappers succeed in coming the closest and winning again. With Jimin and V coming in last place again, the others worry how they’ll do. 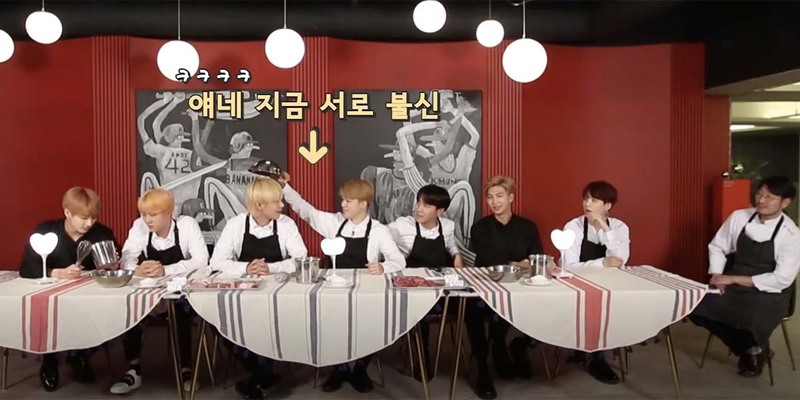 Jimin tries to convince them that the ingredients don’t really matter, but that doesn’t really fool any of us — sorry, Mochi. As they go to pick out their pasta, the teams also learn they have to pick a sauce out but they can’t use ready-made sauce. Instead, they have to make it from scratch. So the rappers pick the oil sauce since it’s the easiest, along with long pasta. Jin and Jungkook also pick a long pasta, and decide on the cream sauce since the chef says it will go good with their meat. That means Jimin and V are stuck to pick between the short pasta. They’re disheartened to learn that the chef doesn’t really like short pasta himself. Poor babies! They also fight over the sauce to pick, which is just hilarious. The chef takes them back into the kitchen, and I am immediately worried at these crazy boys being unleashed in there. 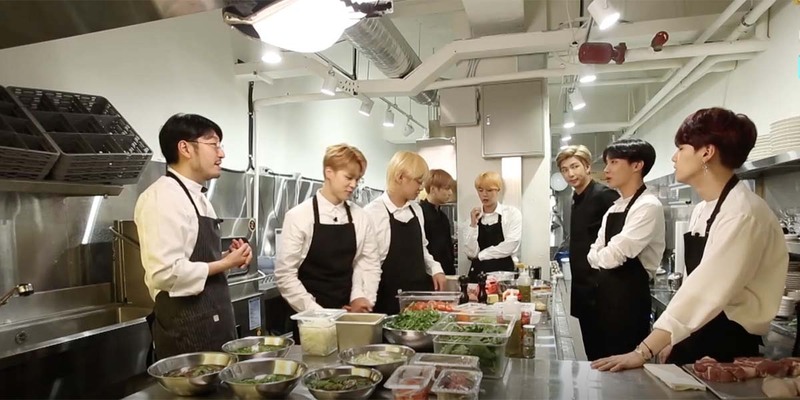 It’s their first time in a professional kitchen like that and it has Jimin and V even more worried. Jungkook tries to cheer them up by saying that enjoying themselves is the most important part and Jin’s windshield wiper laugh is unleashed. 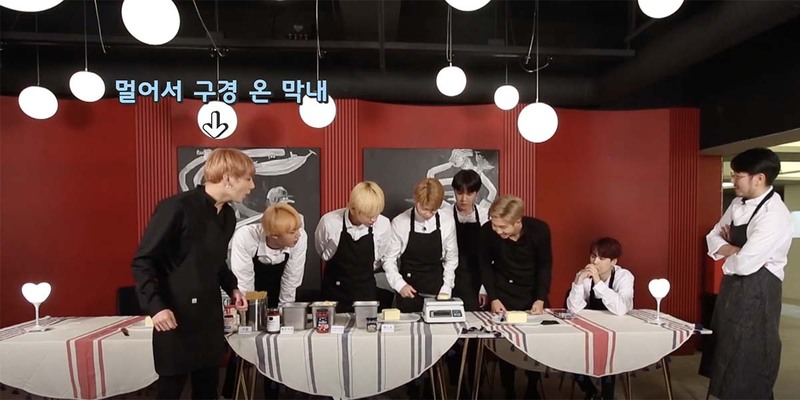 The chef gives them careful instructions on how each team should go about their dish, and it seems like they’re excited to get started, minus Jimin and V who promise to just try their best. They’re given an hour to cook, and they’re quick to get started. 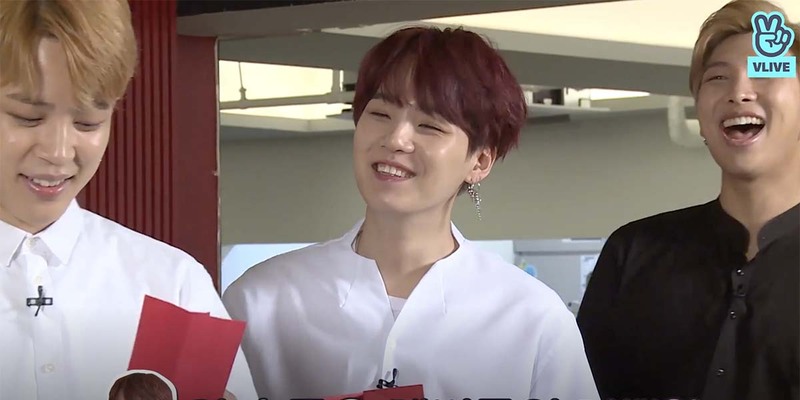 On next week’s episode of Run BTS!, we’ll see the boys cooking and presenting their dishes to the chef!